WHETHER IT’S FOR AN AFTERNOON, DAY, WEEKEND OR WEEK THERE’S NO BETTER WAY TO GET AWAY FROM IT ALL THAN HIRING A BOAT AND HAVING AN ADVENTURE ON THE WATER. 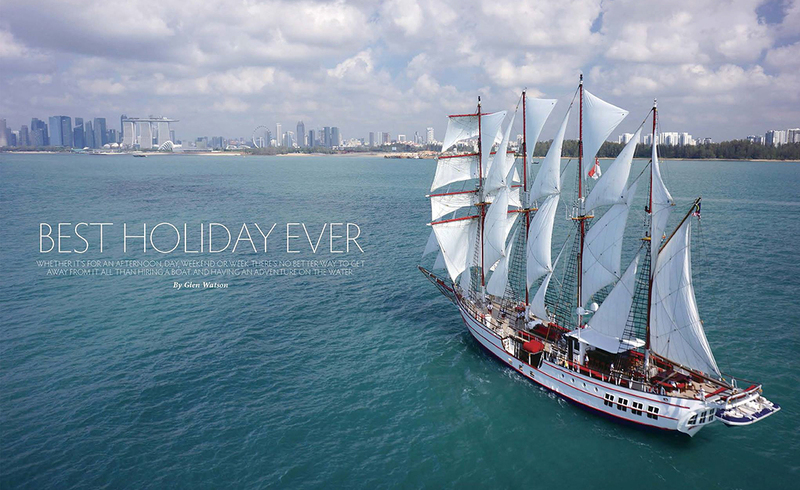 There are many yachts and superyachts available for charter in Singapore, which is a great charter destination thanks to its proximity to northern Indonesia, the Andaman Sea, Malaysia, and Thailand. Plus, before and after your trip you can enjoy all of great things to see and do in the Lion City. 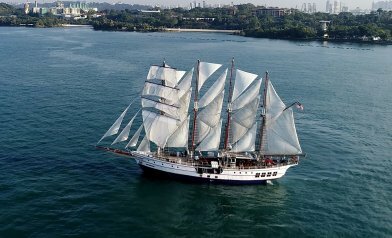 One of the more unusual offerings in Asia is the 47-metre tall ship Royal Albatross, a four-mast Barquentine Topsail schooner built in 2001 that has recently undergone a major multi-year refit that included adding a moon pool through the hull for divers to use. For shorter day trips it can comfortably hold up to 150 passengers, but for overnights there are five cabins for 10 guests. 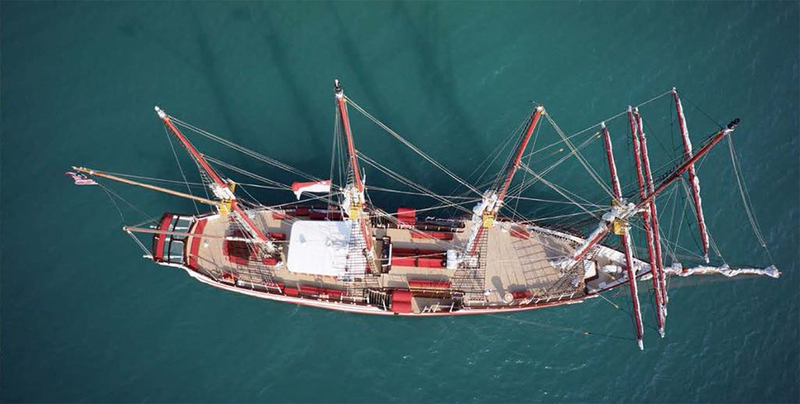 And don’t worry about having to hoist the 22 sails by yourself, there’s a crew of 12 to take care of that for you. 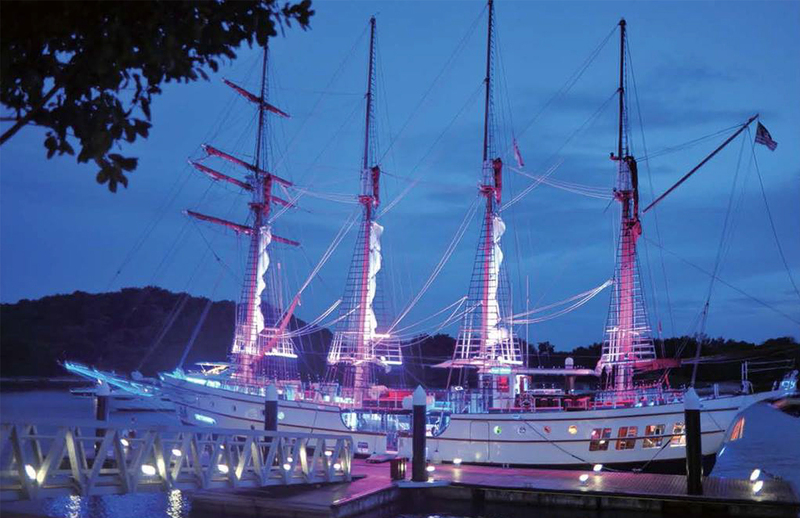 Royal Albatross is conveniently located at the docks beside the aquarium at Resorts World Sentosa, where there is also a pavilion nearby to hold dinners onshore for up to 200 people. Whether it’s for work or pleasure, Royal Albatross is a very special yacht that can adapt to meet your needs. If there’s one country in Asia that could be considered a chartering Mecca, it is Thailand. There’s a wide selection of luxury charter yachts to choose from whether you’re on the Andaman Sea or somewhere in the Gulf of Thailand. Doing business in the Gulf of Thailand for the last 10 years, Yacht Charter Thailand can offer a wealth of information about the area, including cruising and agent guides, sample contracts, etc. The same company also runs the first dedicated superyacht charter agency in the gulf. 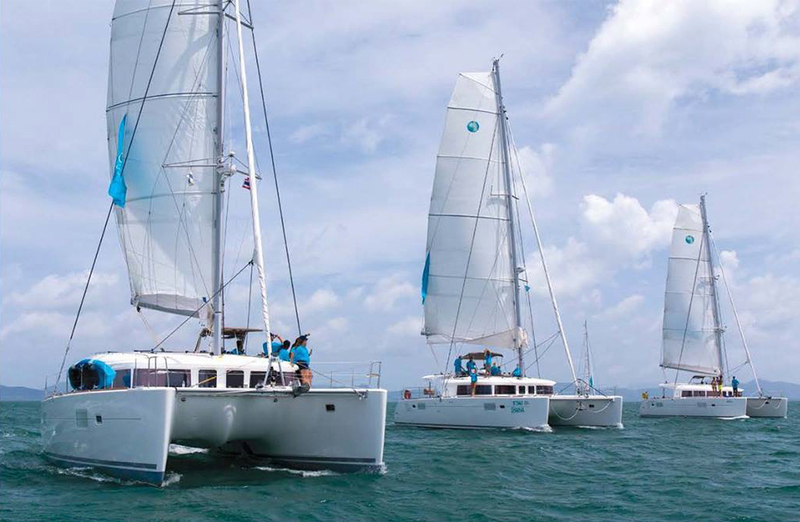 Asia’s leading yacht dealer and broker, Simpson Marine, launched a Phuket yacht charter service to meet growing demand for luxury yachting holidays with high-quality boats such as Lagoon catamarans in Phuket and Langkawi, giving them the freedom to explore the spectacular scenery of the Andaman coast. Simpson offers bareboat charters in Phuket for more experienced yachtsmen and women, allowing them complete freedom and independence to explore the area at their leisure. For novice sailor or those seeking complete relaxation during their cruise, crewed charters are available between Phuket and Langkawi. 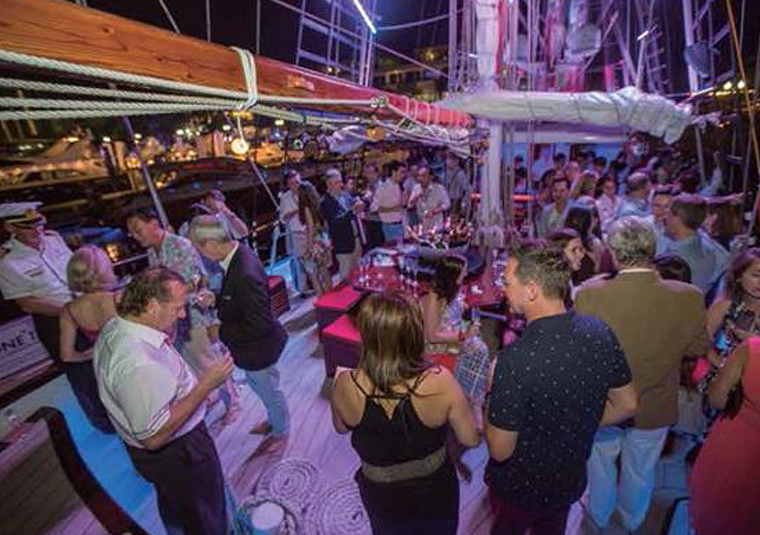 A professional skipper will sail the boat, while an onboard chef prepares first-class food for guests. Yacht owners can also benefit from the company’s yacht charter management service, which offers out their yachts for charter by Simpson Marine’s experienced team. the varied landscapes that stretch from oceanic trenches to expansive tropical reefs are home to five percent of the species found on the planet. There are few areas left in the world as culturally fascinating, and as warmly welcoming, as PNG. Built in 2010 by McMullen and Wing, the 45m Big Fish is one of Asia-Pacific Boating’s Top 50 Superyachts of Asia. Winner of numerous awards, this luxury expedition ship is available for charter through Y.Co and is fully equipped to explore the world above and below the water’s surface. There’s even a decompression chamber for divers, as well as water toys including kite surfers and game-fishing equipment. 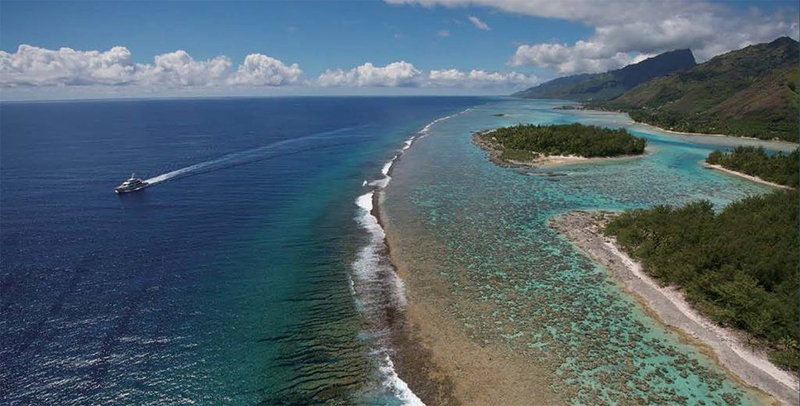 From June to September, Big Fish will be in the area of the Society Islands, Marquesas and Tuamotus. Have a dear idea of what you are chartering the vessel for – an island-hopping vacation for family and friends, or a business meeting or retreat that may very well stay in one port or bay for the duration of the trip. Then decide how many people are coming and how big the ship must be. When chartering a superyacht for the first time, probably the best course of action is to contact one of the reputable chartering companies and discuss your options, requirements and questions. If you are planning to move the ship, where you are planning to go is very important especially if crossing borders. Most agents will help with cruising permits and arrange tax and one-off charges, but they will do as so as a service and for a fee. It is unlikely that yachts will be chartered fully stocked, although these items may be included in some form of chartering package. If so, find out exactly how much fuel you get in the deal, and how far it will get you. Also find out what provisions are included, especially alcohol, as you may have to arrange for special items or favourites. Definitely find out if the crew wages are part of the deal. According to Northrop and Johnson, which has been offering yacht charters for more than 50 years, it is common to give a tip of 15 percent of the base charter fee to the captain and crew after the trip. Anyone with serious medical conditions will want to check out first-aid facilities aboard. Make sure to advise the agent of any medical requirements well before departure. It is also useful to speak beforehand with the captain, who is there to make your journey as enjoyable as possible, can help plan your itinerary and make sure the everything you need is there. 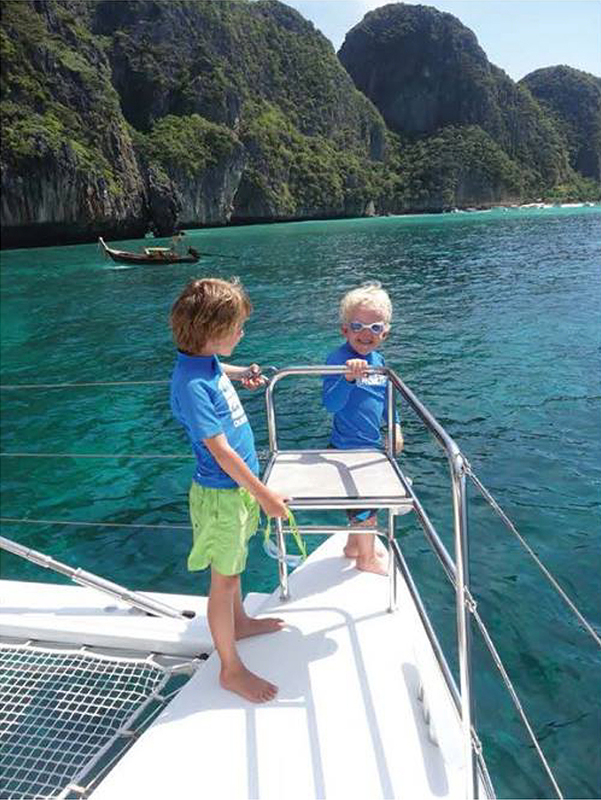 Simpson yacht Charter reminds guests to bring sun protection including a UV T-shirt for snorkelling; and your camera or video camera, complete with waterproof bag. There won’t be many mosquitos on the yacht but that could change when you go ashore, so bring inspect spray. Simpson also suggest using soft and foldable luggage, because hard cases can be difficult to store even on a large boat.